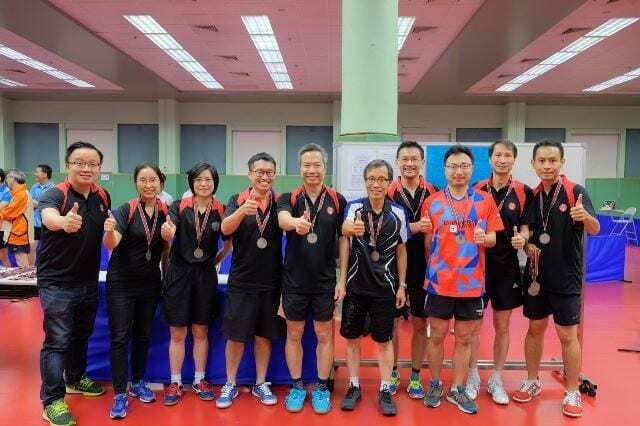 Organized by the Recreation and Sports Club for Hong Kong Professional Bodies, the Joint Professional Table Tennis Tournament is an annual event where members of various professional bodies gather to play their favorite sport – table tennis! Partner River Stone was a member of The Law Society of Hong Kong‘s team. River played against teams from the Hong Kong Institute of Certified Public Accountants, Hong Kong Institute of Architects, Hong Kong Bar Association, Hong Kong Dental Association, Hong Kong Medical Association and Hong Kong Institute of Surveyors. The Recreation and Sports Club for Hong Kong Professional Bodies (“RSCP”) was registered under the Societies Ordinance in 2013, inheriting the history, team spirit and contributions accumulated from the Joint Professional Sports Committee (“JPSC”) which was founded in 2005. Members of RSCP are registered bodies or organisations of learned, recognised and respectable professionals.